This month Springbok Casino honors South African ingenuity with a collection of articles about South African inventions, discoveries and achievements. The CAT Scan was invented by a South African and South African cardiac surgeon Christiaan Barnard performed the world's first heart transplant. Elon Musk, the founder and CEO of SpaceX, Tesla and Neuralink, perhaps one of the most powerful people in the world today, was born in Pretoria in 1971. 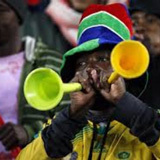 Inspired by a traditional kudu horn used to summon villagers for community meetings, the vuvuzela was a highlight of the 2009 FIFA Confederations Cup. Rooibos, a herbal tea enjoyed all over the world, is originally from South African fynbos. "I find these stories about brilliant South Africans really inspiring!" said Daniel van Wyck, the manager of the popular South African online casino. "I'm impressed by what our country has contributed to the world." This month Springbok is giving you free spins on its T-Rex slot game. T-Rex is a dinosaur themed slot with a bonus round that awards free spins. With new games every month, Springbok Casino offers hundreds of slots and table games from Realtime Gaming, all played in Rands. Assistance is available in either English or Afrikaans. On a smartphone or tablet, it's best to use the free Android App (https://www.springbokcasino.co.za/android-app). More stories of amazing South African achievements can be found at https://www.springbokcasino.co.za/inventions.